4	stars -	"Review for Channel Islands Dane Reynolds Black White Tail Pad" Mark Taylor This Channel Islands Dane Reynolds Black White Tail Pad is the best Traction Pads I have tried. The Dane Reynolds Tail Pad from Channel Islands is Dane's favourite pad. That doesn't mean he loves himself, it just means it's a damn good one! 2 piece flat traction pad to fit various tail widths. 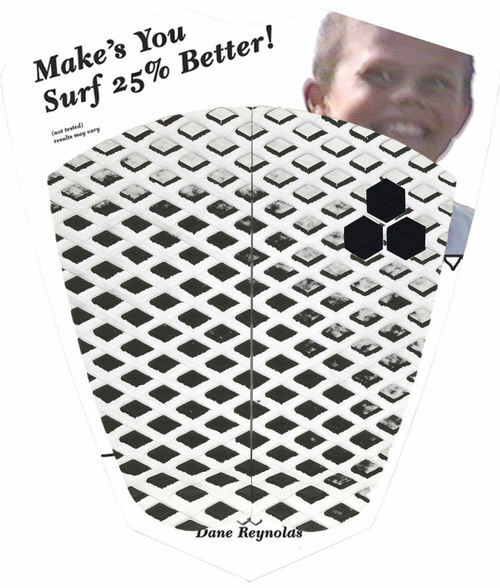 While results may war and there has been no widespread testing, Dane is pretty sure this traction pad will make you surf 25% better!